Character mistake: When Hoss takes Timmy for a horseback ride, after they both dismount by the lake, Hoss calls Timmy by his real name Johnny (Whitaker) and not Timmy. Revealing mistake: When Mary enters her husband's secret room she lights up the room using a paraffin-oil lamp, but the room lights up before her match has reached the lamp. Factual error: Adam has fallen into the river. As he is spotted by Tom Wilson from his campsite, a car is visible passing far across the valley. Factual error: Samuel Clemens, who has written several humorous tales for the Territorial Enterprise, tells the publisher he would like to start writing serious news stories. The publisher replies, "This is a newspaper, not a comic strip. You write it and I'll print it." The first comic strip, "The Little Bears," debuted in 1893 and the term "comic strip" did not enter the vocabulary until 1920. 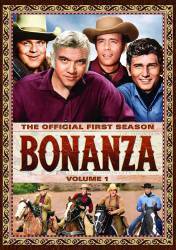 "Bonanza" is set in the 1860s. Other mistake: At night, Adam goes to visit a man whose brother has been shot and killed. After the man lights a lantern on the table to Adam's right, Adam's shadow is to his right and not to his left as it should be. Factual error: Walter Prescott accuses Hoss of "two-timing" him with a mail-order bride. 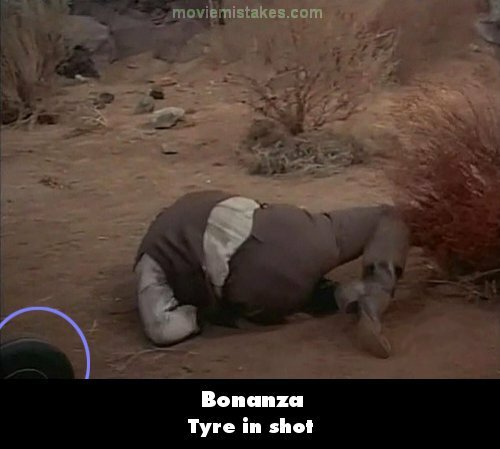 This episode is set in the mid-1860s and, according to the Merriam-Webster dictionary, the expression "two-timing" dates from 1924.